In the early days water and sanitation and primary healthcare were priorities for us, but now we see other actors working on this. However, there remains a gap in hospital services. Further to this, mental health services remain an important part of the intervention for people who have experienced extremely high levels of violence, as confirmed by the retrospective mortality surveys we published in December. While we continue responding to the emergency, in coordination with the authorities, it is important to make an effort to improve the acceptance and understanding of our crucial humanitarian work. The area has seen its population increase drastically, with the subsequent added pressure to the local economy, environment and daily life of a host community and country that has kept its borders open in a crisis that is far from over. Since 25 August 2017, MSF has massively scaled up its operations, and now manages 15 health posts, three primary health centres and five inpatient facilities. The main morbidities among patients in our clinics are respiratory tract infections, diarrhoeal diseases, which are directly related to the poor shelter and water and sanitation conditions in the settlements. 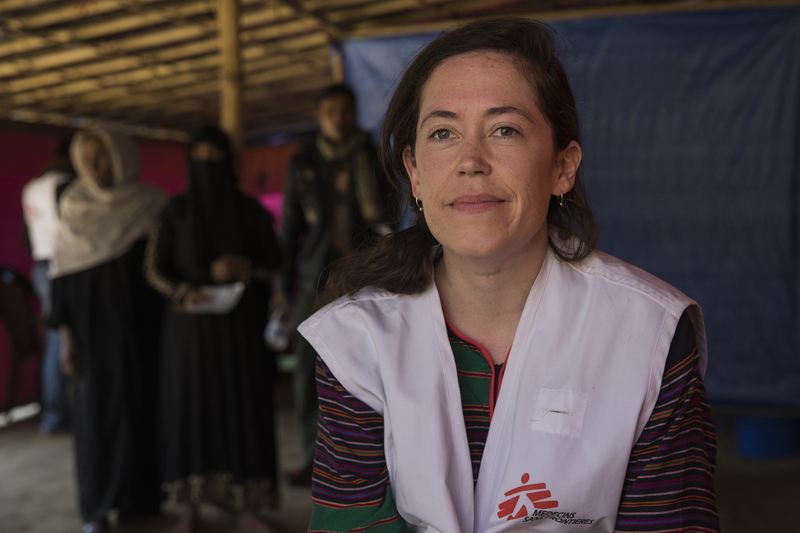 Over 200,000 patients have been treated at MSF outpatient facilities and 4,938 patients in inpatient facilities between the end of August and the end of December.